Thanks for using Kii Cloud. There is a step to set compiler flag on that file. If you are building your application for iOS with Unity 5 or later, you need to set the compile option with the steps below. 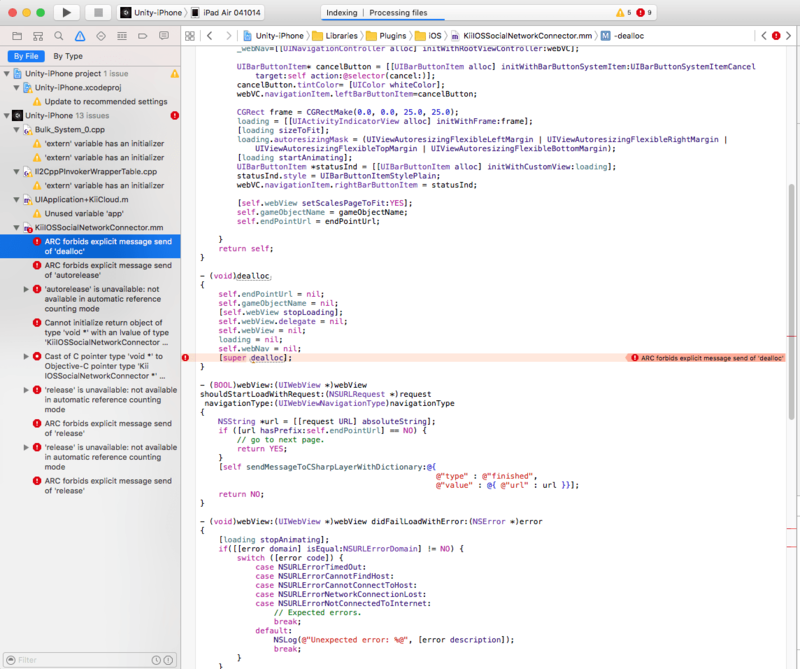 Otherwise, you will get an error when you try to compile KiiIOSSocialNetworkConnector.mm on Xcode.